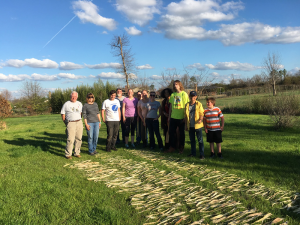 Spring 2017 Alabama Kozo hunt and steaming of bark from the branches, in preparation for Asian-style papermaking. 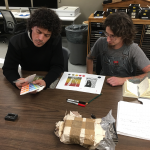 Alejandro Sainz works with MFA student Charlie Westerink November 28, 2016, choosing print colors for our newest collaborative book project with Cuban artists and poets. 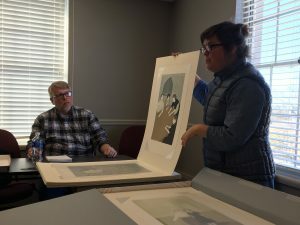 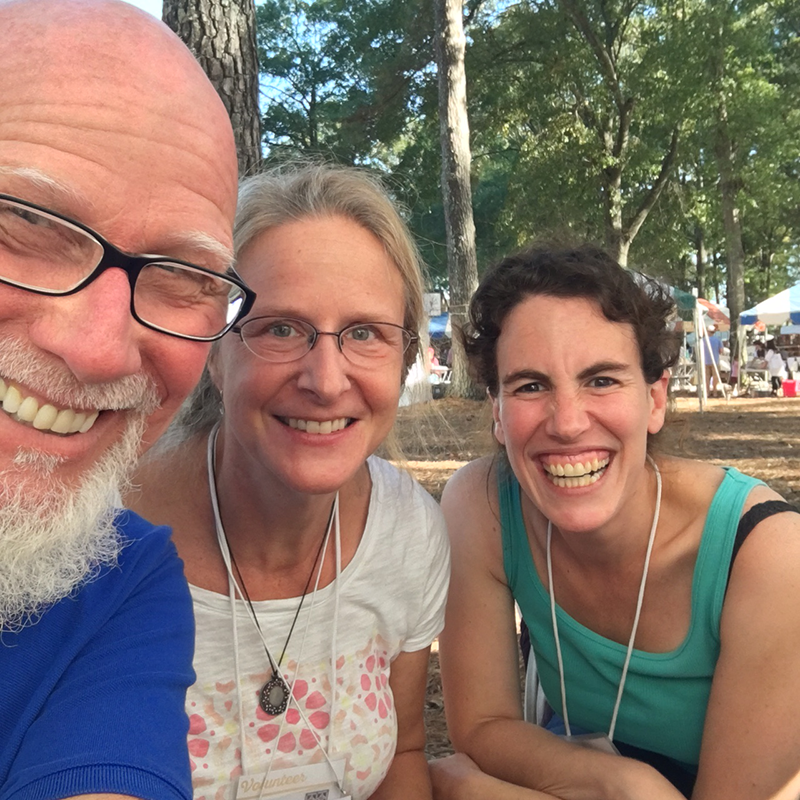 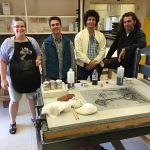 Book Arts faculty members Steve Miller, Anna Embree, and Sarah Bryant, participate at the annual Kentuck Festival of the Arts in Northport, Alabama. October 16, 2016.